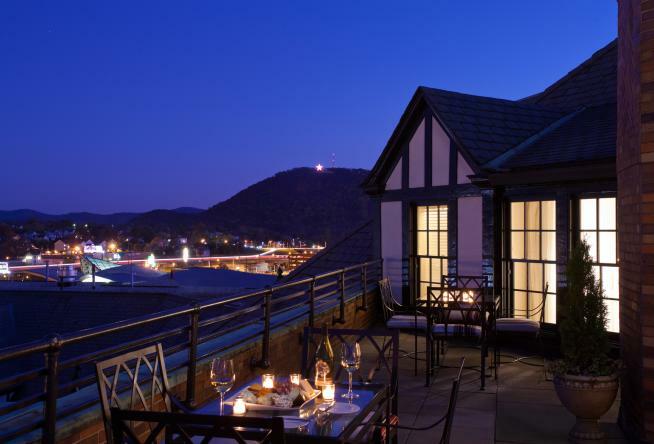 There is no time like the present to plan a sweet escape to Virginia’s Blue Ridge. These 10 luxury suites are incredible for honeymooners, those celebrating an anniversary, or any couple who simply needs to reconnect. Any of these reprieves will be a stunning backdrop for the memories you’ll make on your next romantic getaway. Rejoice! 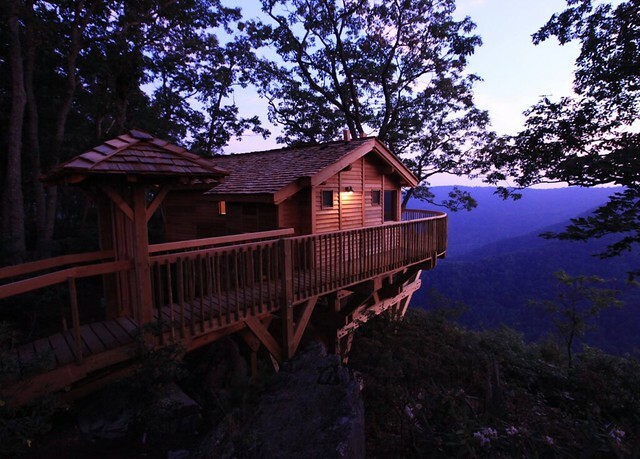 There is more than one tree house at Primland, and each is an unforgettable experience. Perched high above the Dan River and surrounded by mature trees, you’re in your own paradise. The setting is such that some have referred to the tree houses as “glamping.” That is, glamorous camping. We see it as sitting pretty in the lap of rustic luxury. The tree houses are pet-, child-, and smoke-free havens for couples. The amenities include luxury linens, robes, and slippers, as well as a soaking tub, nightly turn-down, and access to a four-wheel drive vehicle. 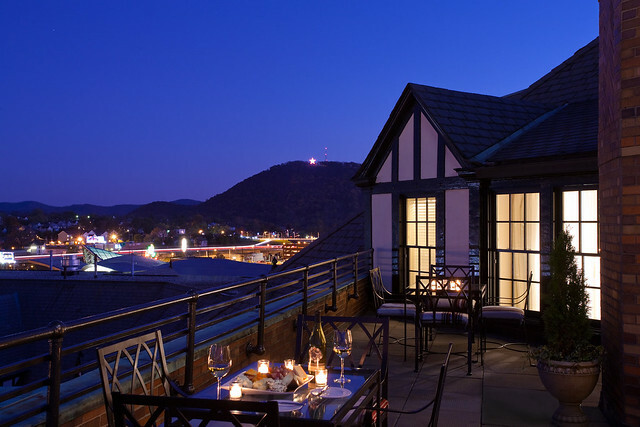 Part of the Curio Collection by Hilton, The Hotel Roanoke & Conference Center is the crown jewel of downtown Roanoke. 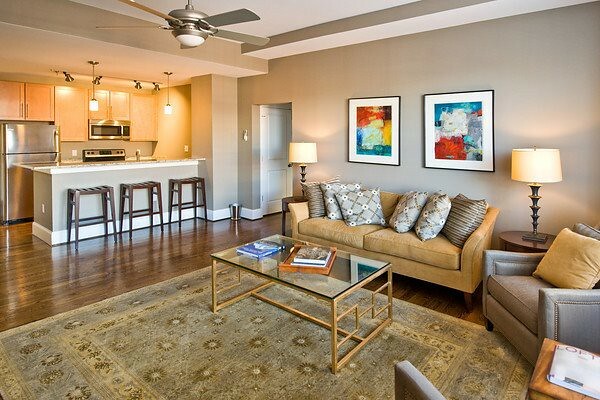 The Governor Suite is essentially the penthouse and is quite spacious at nearly 1,700 square feet. Depending on the season, you may find yourself in front of the fireplace or out on the private, spacious, rooftop terrace. 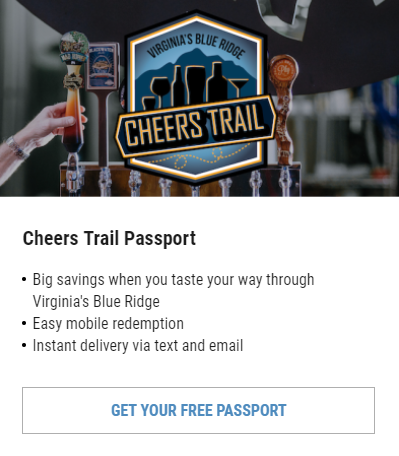 It’s an ideal place for drinks and Roanoke Star gazing. The Governor Suite is well appointed with fine bedding, slippers, and bathrobes. The Inn at Riverbend is an annual favorite among many publications and with one visit, you will realize why. 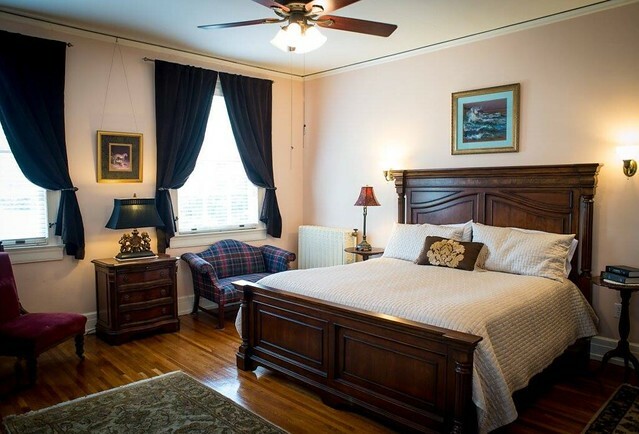 Sweeping views of the New River and surrounding area make this Select Registry bed and breakfast an ideal choice for a romantic getaway in any season. The best views, finest appointments, and most ideal privacy is found in the Wind Rocks room. It’s a ground-level, private, corner room with grand views from the French doors leading to Adirondacks on the deck. Soak in the oversized whirlpool tub with the aromatherapy bath products, and then slip into the plush bathrobes for a relaxing evening. As the name suggests, Sir Christopher’s Chamber is an elegant, traditional abode with wing back chairs and a four-poster king bed. Bring a bottle of wine or champagne (or have it added to your stay), as the room includes wine glasses and a corkscrew. To really unwind, take advantage of the Jacuzzi and have a complimentary chocolate, too. Why not? It’s a romantic getaway. The Oaks Victorian Inn is a celebrated AAA 4-Diamond accommodation. Treat yourself with a stay in the Magnolia Suite at Early Inn at The Grove. 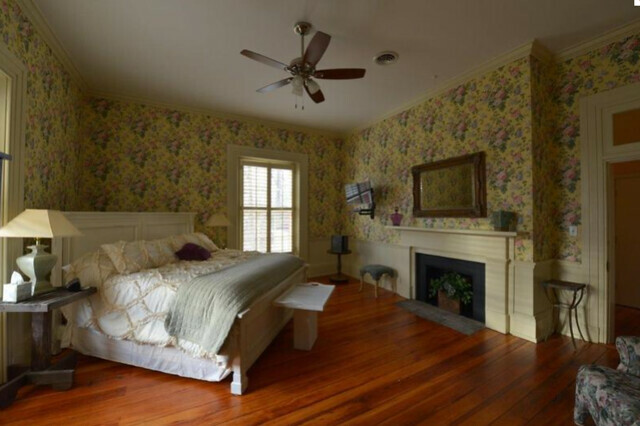 It’s an aptly named, grand room that brings to mind summers in the south. Floral wallpaper, hardwood floors, a beautiful transom above the door, a stately fireplace with stone hearth, and large windows are a picture of simpler times. The en suite is gracious with a large two-head shower for you and yours, as well as soaking tub that might just suit two. Try out the locally-made organic soaps. If you love them, find out how to take some home. 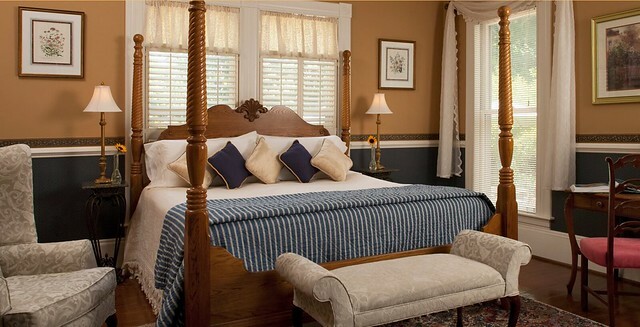 A comfortable king bed awaits you in the King George Room at King George Inn. The luxury linens, vintage soaking tub, and fireplace in this stately suite ensure romance is never absent. Locate the “Royal Treasure” box. The Virginia-made soap found within is an exclusive just for you! 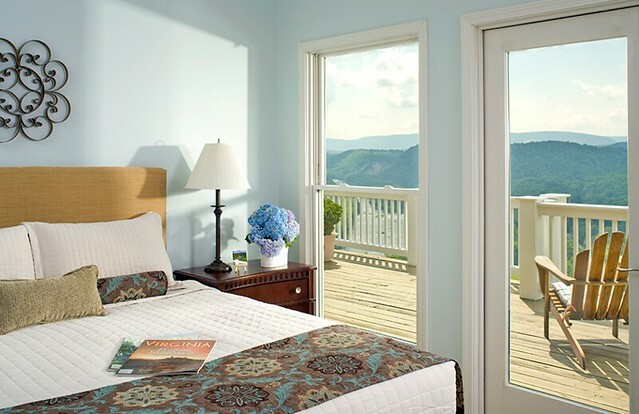 In all likelihood, you can’t imagine how romantic a silo can be, but that’s because you’re not familiar with the Pinnacles Suite at Primland Resort. It’s a two-story, 1,800-square-foot magical space in the resort&apos;s Observatory Tower. A wall of windows high and low give panoramic views without losing an ounce of privacy. Lie in bed and appreciate the nature that surrounds you or take a seat on the balcony. It’s a great place to enjoy a libation or cup of coffee. 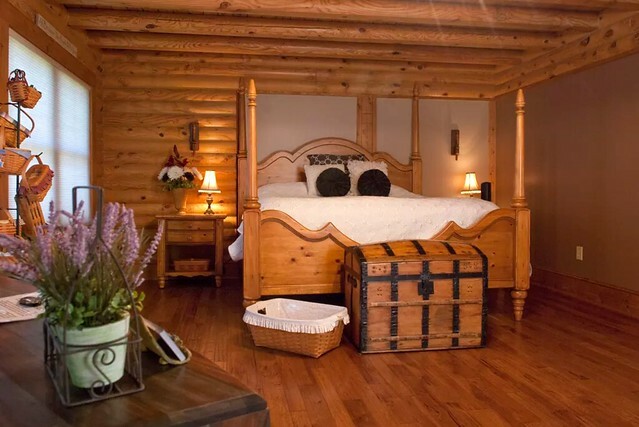 Shirley’s Bed & Breakfast is a sprawling log home with immense views and a huge helpin’ of hospitality. The Lavista Room is a main level suite with a private entrance and plenty of space, not to mention a level of make-yourself-at-home comfort not found in many other accommodations. The oversized tub and walk-in shower are your indoor relaxation, but a nice pool for summer floating awaits outside. 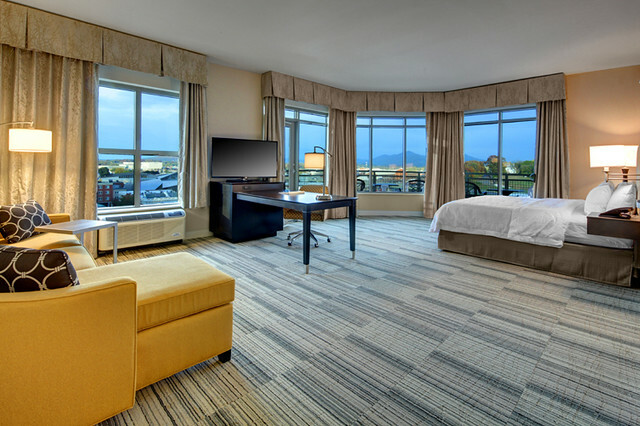 This new contemporary hotel in downtown Roanoke offers Corner Studio Suites with balconies soaked in mountain views. You’re not limited to the balcony to take in the breadth of downtown, however. These corner rooms are rounded off with a trio of windows washing the room in sunlight. Essentially an apartment, the Governor’s Suite at the Patrick Henry Ballroom has everything you need to make a romantic weekend getaway easily turn into a weeklong jaunt. The well-appointed space overlooks Elmwood Park, and is among the most private accommodations we could uncover. Time is the one thing we never have enough of and will one day run out of. Delight in the moments you spend together, and make sweet memories in Virginia’s Blue Ridge.